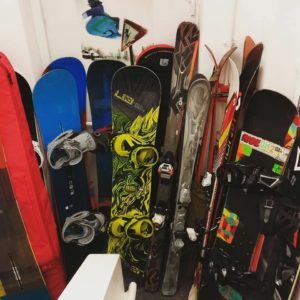 If you’re in need of Ski or Snowboard Servicing before you get away come and see us at Odyssey in Bury St Edmunds! No need to book, just bring your equipment in and we will get it turned around quickly. All servicing takes place on site, we don’t send your gear away. Ideally we need a week to allow time, particularly in our busy periods January through to March, but we can normally squeeze in express 48hr jobs for a small extra charge. Feel free to give us a call on 01284 753322 if you have any questions, or just drop your equipment in to us at; Odyssey, 14-15 St John’s St, Bury St Edmunds, Suffolk IP33 1SQ.